On boarding the boat the skipper will give you a safety brief detailing the whereabouts of emergency equipment. In the event of a emergency please follow his instrucions. 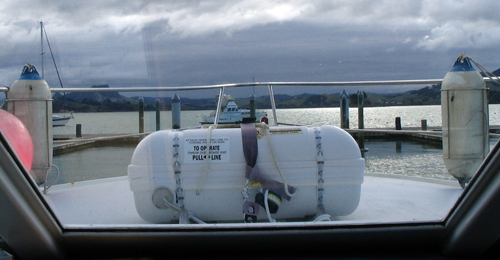 The boat has a 8 man safety liferaft located on the bow of the boat. There are 12 life jackets under the main seat on the flying bridge. Fire extinguishers are located on the flying bridge, saloon and underneath the curved seat in the saloon. There is a EPIRB on the right hand side inside the door in the saloon. There are 2 VHFs, 1 single side band - don't touch any safety equipment unless requested).